If frequency cuts are less than obvious, using compression can be positively counter-intuitive. 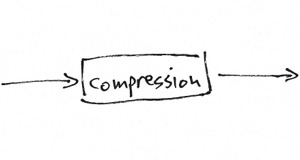 I don’t know any way to write or talk about compression that leads to an ability to use it without actually using it. A lot. You have to try, and probably fail at first, to get any good as using audio compressors. 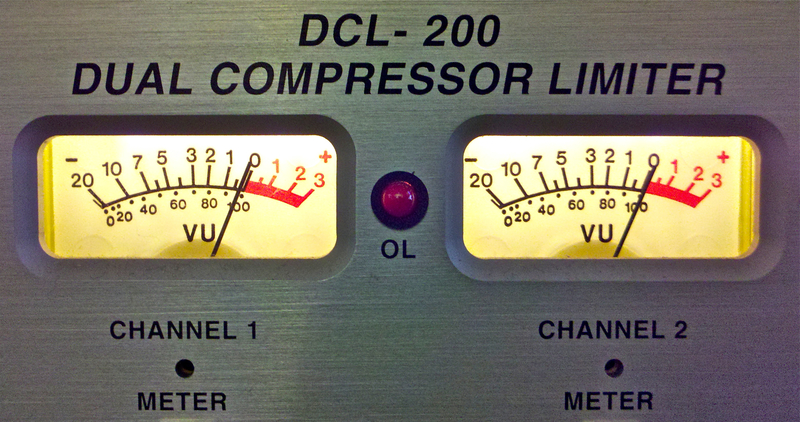 The most obvious “result” you get from a compressor is that it turns down the loud parts. And when I was first learning I couldn’t figure out why that was a good thing. After playing with compression for a bit I realized that lower max volumes meant that the whole thing could be turned up louder: “make up gain.” This is the origin of the first desirable effect of compression: increased apparent loudness. If the reduction of the loud parts isn’t so exaggerated that it sounds awful, then turning that signal up can make it seem like it is louder overall. And this may be the most common reason people use a compressor, though it is certainly not the only one. Increasing the perceived loudness may bring other perceptions: more presence, better low level detail, and increased intelligibility. When mixing a vocal in a song or preparing dialog for use in a game or film, these improvements can be significant. Even slight improvements in presence, detail, and intelligibility make compression worth the trouble of learning how to use it. But there are other sonic consequences of compression. Frankly speaking, bad compression is annoying. The pumping and breathing of poorly/over-compressed voice makes most other audio professionals cringe and may even be distracting for untrained listeners. Really smashing the louder parts can sound weird too, even if it doesn’t pump. Squashing the peaks may also take away power from sounds that would otherwise have more impact. Heavy compression can put things off balance, so that louder parts seem too soft and the soft parts seem too loud. Of course bringing up low level sounds can mean making it easier to hear noise, room reflections, breathing, and may exacerbate sibilance. Compression can make plosives worse too. Filtering before compression can help minimize the blossoming plosives that compression may cause. Most of the time these examples of bad compression would be considered undesirable. There are times when our list of “bad” things sound cool, and rules are meant to be broken. So go nuts when it works for your project. A few other compression effects may be good, or bad, depending on the desired outcome. Compression may make a voice sound thicker, heavier. If you wanted a delicate, airy quality then this effect would be considered a failure. But plodding songs, serious themes, and moody dialog might benefit from a weightier sound. Compression may also level out variations in volume, to a point where it sounds like someone automated volume rides for a consistent volume. If you want everything closer to the same volume, then this effect is pretty useful. But if you want the whispers soft and the screams loud, leveling can make things worse instead of better. When the attack is set slow enough to allow the front edge of a new sound through, compression can make things sound “punchier.” That’s good when you want more impact, bad when you want things nice and smooth. If you’re just getting started with compressors, or growing your compression skill set, listen for these effects as you adjust the controls. Read how to achieve these sonics: compression techniques for voice.